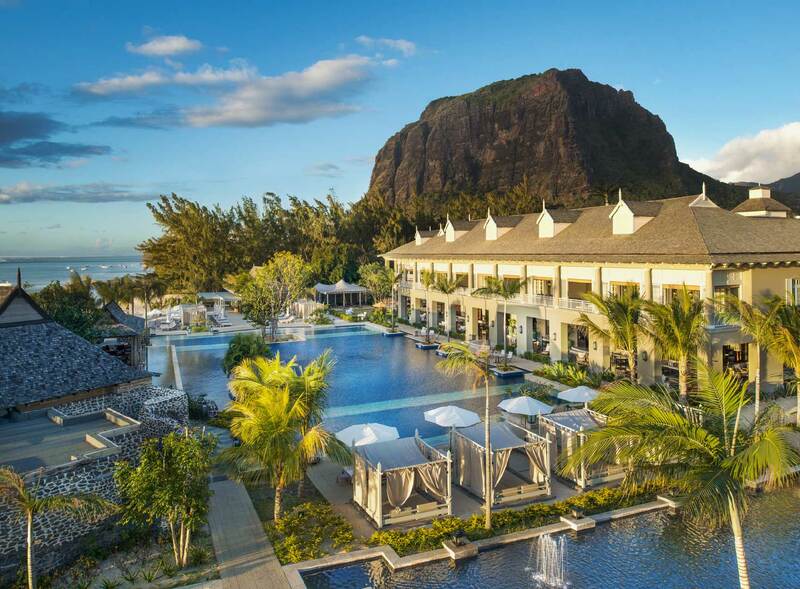 The St Regis Mauritius Resort, an upmarket destination in the South of Mautitius, is set with the picturesque La Morne mountain as a backdrop. 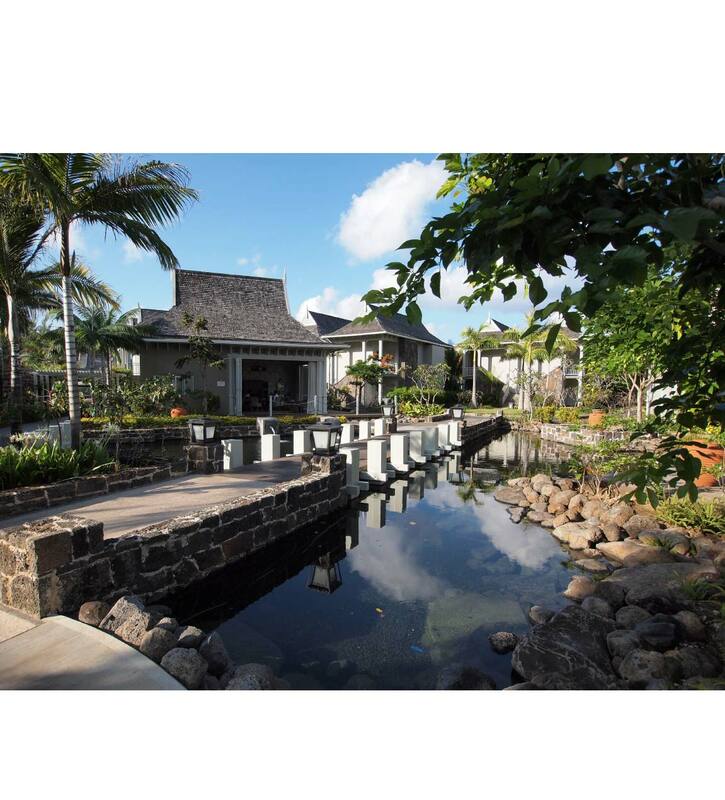 An old fishermans boathouse, converted into the kitchen for the beach restaurant, is contrasted with the formal French colonial style of the rest of the development. Keeping with this theme the formality of the planting varies with axial planting used in the public spaces and more sporadic informal planting utilised surrounding the rooms and villas. Local stone and materials were used throughout adding authenticity to the design aesthetic and adding value back to local sources whilst keeping with the highest quality standards. 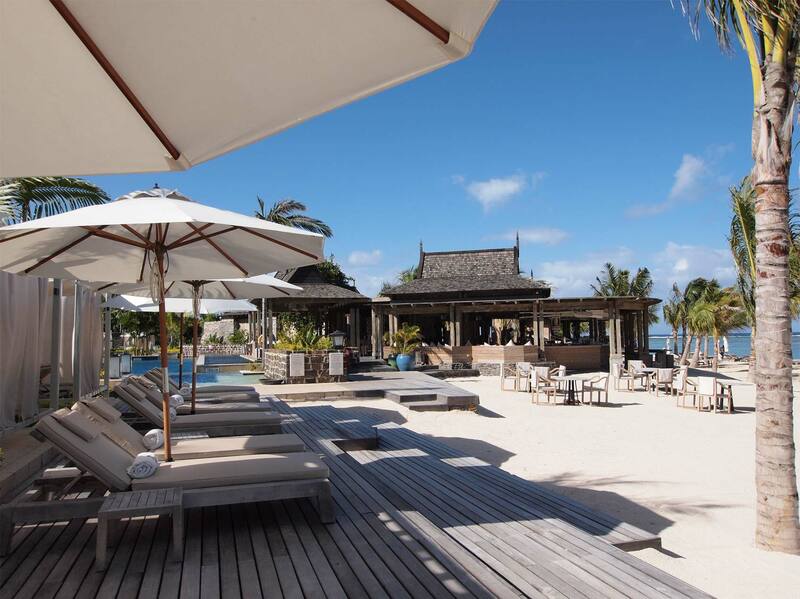 Purported to be the largest swimming pool in Mauritus, it both links and separates the manor house and public spaces from the boathouse. A water feature leads they eye down a linear path to the sea emphasising the man-made and natural beauty of the surrounds. 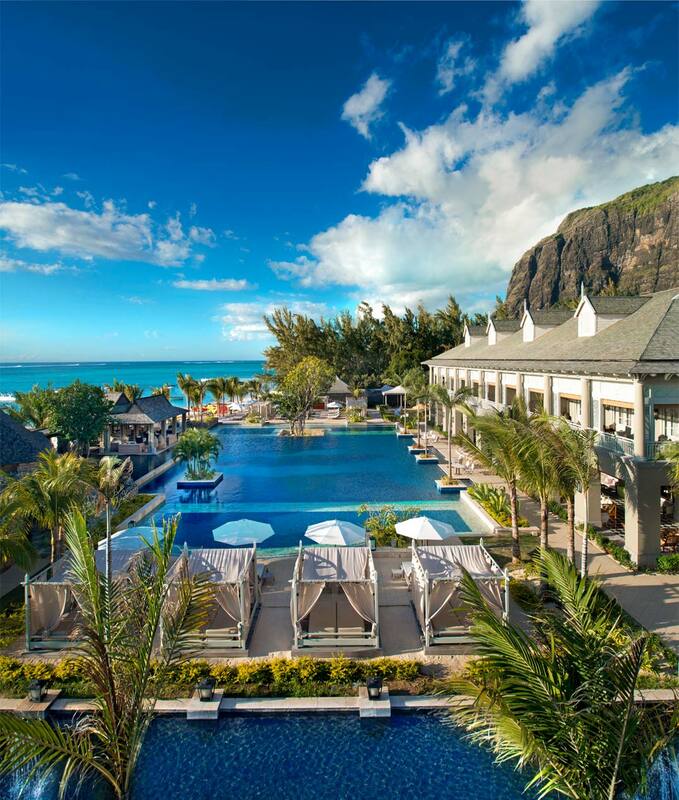 Gazebos and lounge furniture, bespoke, adorn the decking surrounding the pool and reflect the quality of the St Regis brand.